For any specific integrated berthing (docking) and mooring requirement Mampaey Offshore Industries offers the most complete suite of products and services. Products of Mampaey Offshore Industries can be integrated with existing jetty management systems. A great benefit is the use of one uniform iMoor interface. 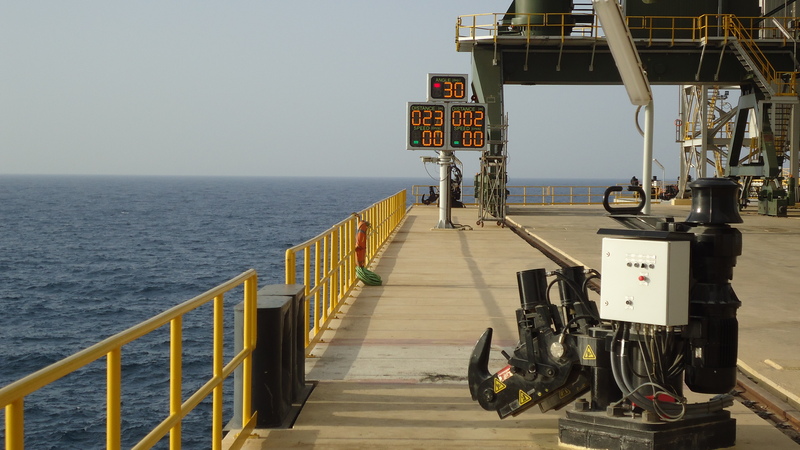 • Reduces operational costs, jetty and fender damage, ship’s and installation’s down time. The Central Monitoring System enables your personnel to receive up to date information about the berthing and mooring process. This provides histogram trends for each vessel and has ship’s data stored centrally. Specific data bases include mooring schedules, rope tension limits, trend logs, event- & alarm archives and configurable, emergency release information. We can visualize typical iMoor applications like Mooring Load Monitoring, remote hook release & hook status and berthing approach data. We also provide meteorological & oceanographic info as well as AIS or CCTV images. We can distribute the images locally or globally and can be monitored via LAN, WLAN, UHF or the internet. 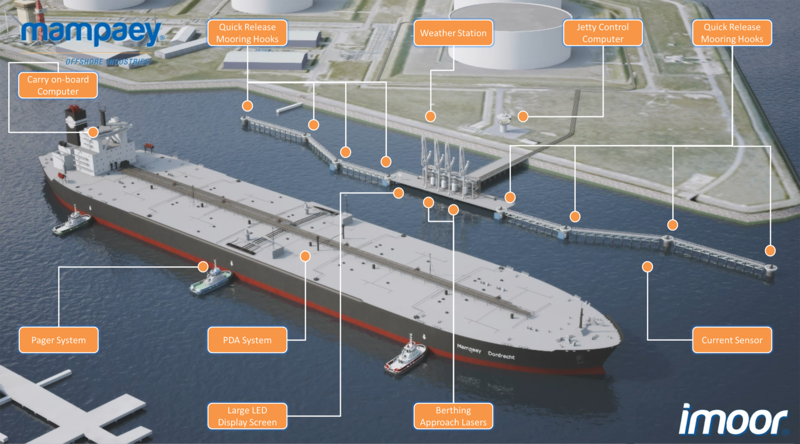 The iMoor system processes the relevant information from the various sensors through PLC’s and further transmits to and visualizes it by the Jetty Computer. This form of local processing ensures the stand alone functionality of the main modules. The iMoor Software Package is SCADA based. We can easily customize this package to your requirements and interface it to other systems. Information can be distributed via the internet and shared globally with for example the ship’s crew. You can monitor the iMoor modules in the control room. You can also monitor them on portable devices such as hand-held pagers, PDA’s and Carry onboard computer laptops. 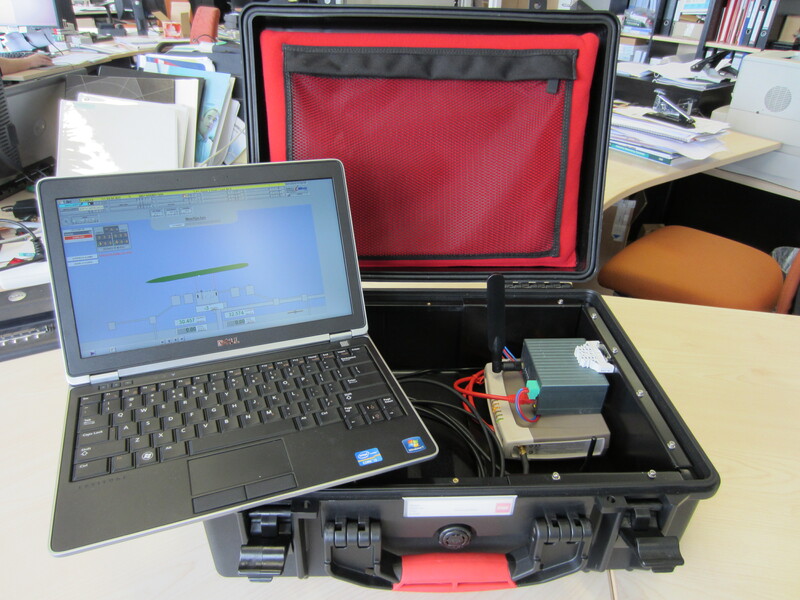 All portable modules are integrated into the iMoor network. 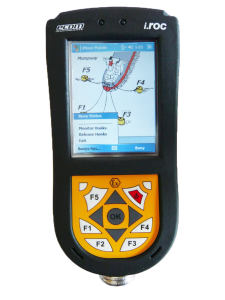 Personnel receives up to date information about the berthing and mooring process with the wireless handheld pager. 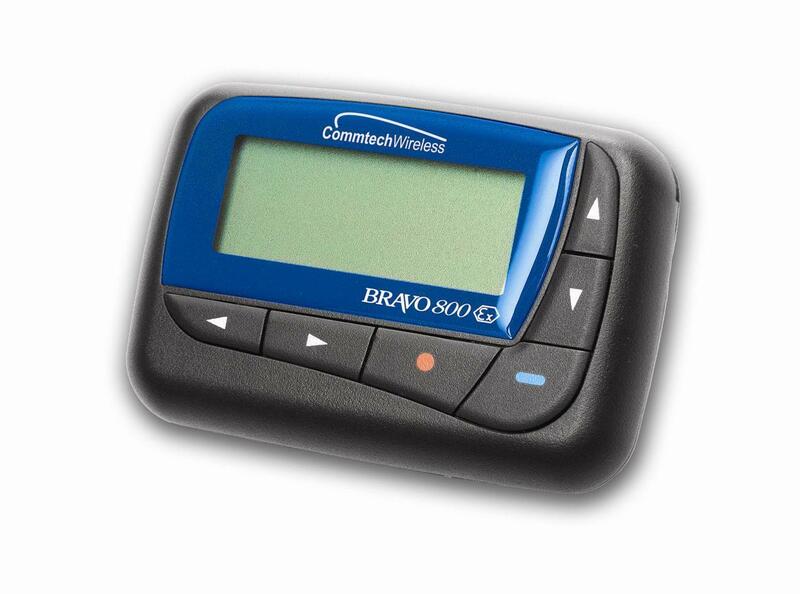 This pager receives data and alarms from an UHF transmitter connected to the iMoor network. The pager can display information about Berthing, Mooring Load Monitoring and Environmental data. Because of the explosion proof construct of the pagers, they are suitable for hazardous areas and for operation in areas like chemical & petrochemical industry, oil & LNG platforms and rigs. The Carry Onboard provides the pilot or other crew/operators with all information of the Mooring Load Monitoring System, the Berthing Approach System and the Environmental Measuring System. This information is also available in the main computer in the control room. The carry onboard computer is available with IWLAN and UHF communication with the main computer system in the control room. The UHF Range is beyond 1000 meters and the IWLAN Range is beyond 300 meters. 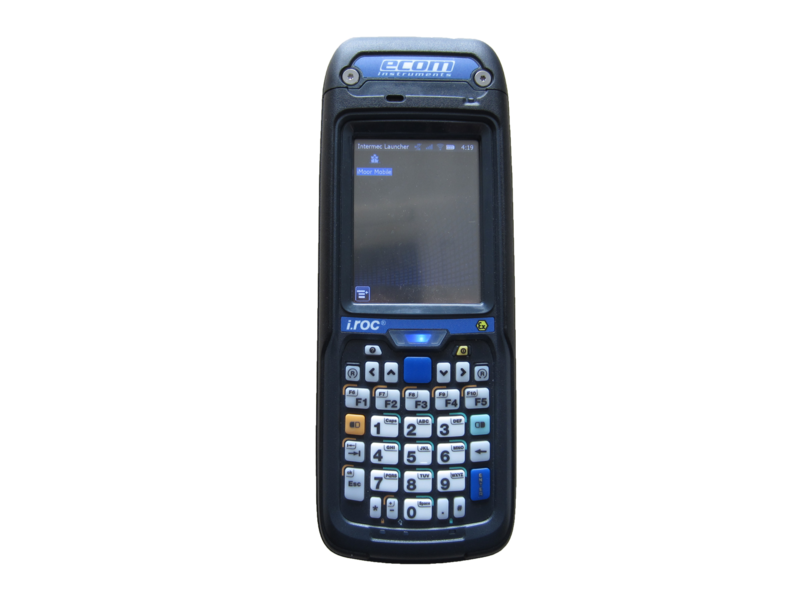 The PDA is a useful iMoor addition. It provides all information of the Mooring Load Monitoring System, the Berthing Approach System and the Environmental Measuring System. These are also available in ATEX Zone 1 certified versions. The PDA is integrated into the iMoor network via IWLAN communication with the main computer system in the control room.